Come On! Literally. The first authentic Spanish tapas bar in Rio de Janeiro, Venga quickly became a gastronomic hotspot in the city and a favorite on Rua Dias Ferreira. Carioca culture loves to enjoy tapas type treats between friends and family. This outstanding menu and eclectic dining experiences is the perfect excuse to sample everything on the menu at one time, plus they have a great selection of 'bubbly' and sangria. What more could you want? Celeiro was one of the first restaurants in Rio to focus on organic and healthy food. They boast a varied and creative menu, with homemade breads and fresh ingredients. This is the perfect spot for lunch with tables inside and outside making for a friendly ambiance on the famous Rua Dias Ferrira. Take your pick of ready-made salads options, meat dishes, chicken, fish and desserts like truffles, mousses, cakes, and creams. A mixture of bistro and steakhouse, CT Boucherie is the fourth restaurant by legendary chef French Claude Troisgros. The authentic decoration of tiled walls, old butchers style demolition wood floor amid pieces of meat, ham, and salami suspended from the ceiling add to the experience. The open plan kitchen is clearly visible in the background; an invitation to whet your appetite. The menu boasts a wide variety from rack of lamb, duck magret, to Kobe beef and prime rib. The unique Esch Cafe located in the heart of Leblon is at once, both a tobacco shop and restaurant. 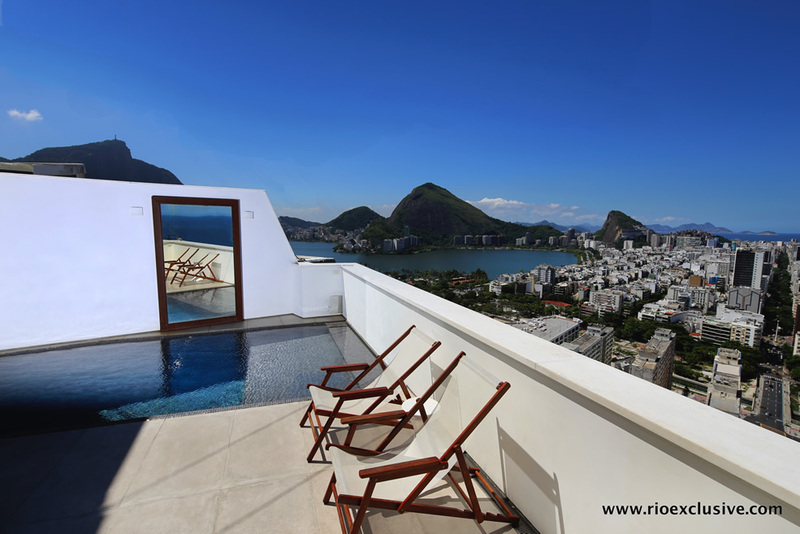 Guests can enjoy cigars, pipes, and cigarettes while at the same time sampling international cuisine with classic Rio cooking and jazz performances. Among the menu choices are the stew with rice, farofa, banana and poached egg and grilled grouper to butter sauce, lemon and sour cream, garnished dried tomato risotto. This Leblon hotspot is the brainchild of top chef Ronaldo Canha with signature dishes including salmon with wasabi roe and vodka slush or mini hamburger with cream of mushroom and quail egg - your taste buds will thank you. This masterful chef has even given classic bar food a twist such as quail egg with truffle mayonnaise and mixed platter of confit duck, tapioca, and provolone cheese. Drinks include European successes such as Aperol, a wide range of cocktails and tasty soft drinks made of tropical local juices. Small and cozy, the Carlota restaurant is another example of a São Paulo success story launching in Rio. Owner and chef Carla Pernambuco uses influences from her travels to Europe and her experiences from years living in New York to create an electric and colorful menu. Each plate aims to defy expectation and delight your tastebuds. We recommend the filé mignon with port sauce and fig risotto, or among the desserts, the Guava souffle with Catipury cheese sauce is amazing. Rua Dia Ferreira is famous for having some of the best Japanese restaurants in Rio, and this place is no different. If you pay a visit here you must try the sashimi, and, in particular, the 'Leque de Figo' (thin slices of salmon interspersed with fig). Manekineko also creates its own line of rolls including 'Laos Rolls', served with salmon tartar and chard covered with a pepper jelly, and the 'Lightmaki' (cucumber slices with salmon, Kane, cream cheese, and chives). 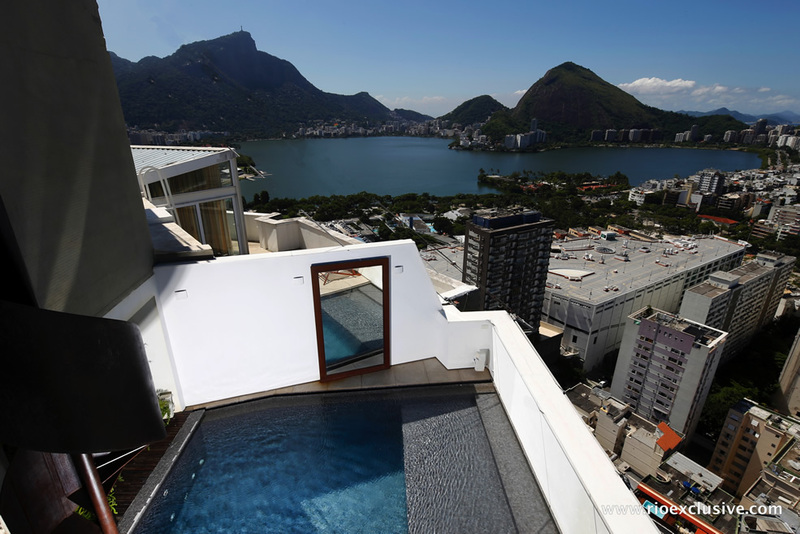 Opened in September 2002, in Leblon, the Minimok has an intimate and relaxed atmosphere. Architectural in design, the space has avoided the classic Japanese features of traditional red, mint green and purple, and replaced it with trendy wooden furniture and fiber-optic lights. The menu features delicious twists on Japanese classics. The Sawasdee Thai restaurant Bistro opened its doors in Leblon in December 2007. Boasting an exotic menu, the kitchen prepares a famous array of dishes including premium tuna sealed in foil with shimeji mushrooms and sake, coconut cream and ginger with crispy mussels, crunchy grouper fillet with shiitake risotto, and spiced seafood risotto with roasted garlic and coriander. Stuzzi is a mecca for the Leblon's cool crowd on a Friday night. The array of bottles hanging from the ceiling mixed with eclectic house music gives this bar a unique atmosphere. Hungry for a snack? The kitchen offers a selection of delicious antipasti's perfect for sharing with friends including zucchini and eggplant preserves, tomato confit, crostini Tuscan pâté, stuffed olives and crisps of Grana Padano. To accompany, select from one of the 40 different labels of wine, or, if you prefer, one of their signature cocktails such as Yamí (vodka, jabuticaba sauce, lemon and an edible flower) and the Stuzzi Spritz (white wine, strawberries, mix fruit and mandarin liquor). The oldest among the Japanese restaurants in Rio de Janeiro, Sushi Leblon has received guests like Madonna and Tom Cruise. Incorporating elements of contemporary cuisine, the restaurant offers dishes like udon noodles with seafood, prepared with coconut milk, curry, herring roe, sea urchin and scallops. Lovers of contemporary cuisine will adores Togu's Eastern dishes. Opened in 2004, the restaurant brings a touch of long awaited gastronomic innovation with a fusion of Brazilian cuisines, Chinese, Vietnamese, Korean and Japanese. Among the main courses, the house offers sushi, sashimi, yakissob as, tuna, salmon in sake and mignon steak. Since 2002 Zuka has been a foodie favorite on Rua Dias Ferreira. The wooden panelling and charcoal grill centerpiece perfectly compliment its innovative, contemporary menu. Customers can enjoy watching their dish of choice cooked to perfection right in front if them. The menu is divided into three categories: sea, air and land with stand out dishes including the charred Tuna steak or the 'rare-as-you-like' Bife de chorizo. 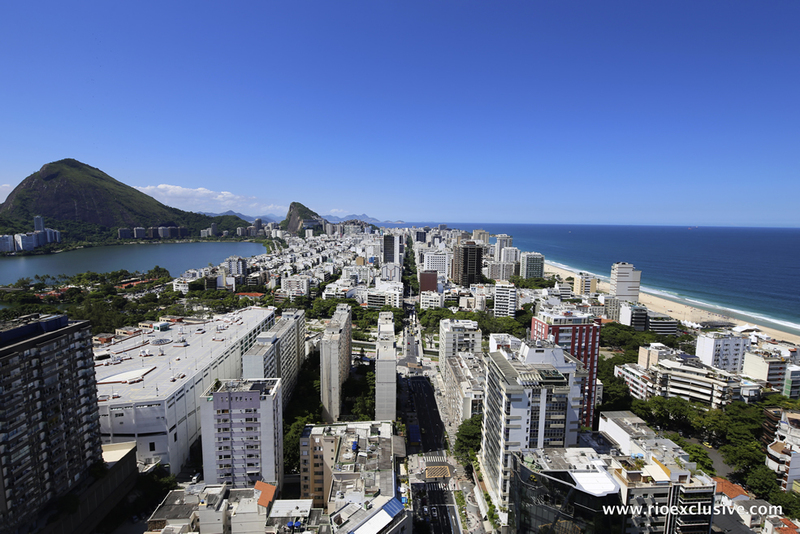 A breathtaking penthouse on the 29th and 30th floors of the noble Rio Design building in central Leblon, with unbelievable views over Leblon, Ipanema, the beaches and Lagoa.